My brother-in-law recently sent me a link to “Fooducate” – a new iphone app created by “a team of parents, dietitians, and techies”. You use “Fooducate” while shopping to scan product labels in order to help you make better nutritional choices. Yikes – their “see how it works” slide show offered “B+” rated breakfast cereals as “better options” for a “C” rated cereal. Obviously this is not a team of paleo parents, dietitians and techies! I emailed my brother-in-law back an explained it’s pretty easy to find “paleo foods” in a local grocery store by only shopping the perimeter of the store (organic fruits and vegetables, wild-caught fish and grassed beef and poultry). Yet being a paleo newbie himself, he insisted it would be helpful if there were a way to determine if a product was paleo-friendly. Even”gluten free” products often list ingredients (corn, potato, soy, kidney beans, vegetable oils, etc) that are not eaten when following The Paleo Diet. Come to find out, my brother-in-law is not alone. 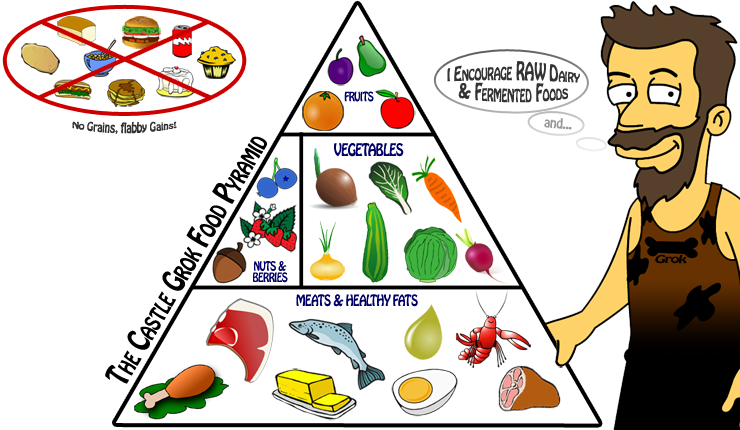 In one of my early morning paleo-google searches, I came across “Paleo Approved“. Karen Pendergrass and Kimberly Eyer have founded Paleo Approved, Inc. in order to help consumers identify foods that meet the standards of The Paleo Diet. Qualifying paleo foods (see “Get Paleo Approved”) will be labeled to help consumers figure out which foods are safe to eat. Check out their informative website and very funny video! In my very last minute search for Thanksgiving Paleo recipes, I came across Naturally Engineered’s helpful blog post. Thankfully, Naturally Engineered did the research for us and has combined several Paleo Thanksgiving resources in one post! In a follow-up to my “Got Leaky Gut?” article, I found an interesting link posted on Robb Wolf’s Paleo Solutions blog this morning. Via video Robb and his wife Nikki are in Italy enjoying a gluten free pizza. They’re surprised that they are able to encounter so many gluten free products in a “wheat dominated” culture. 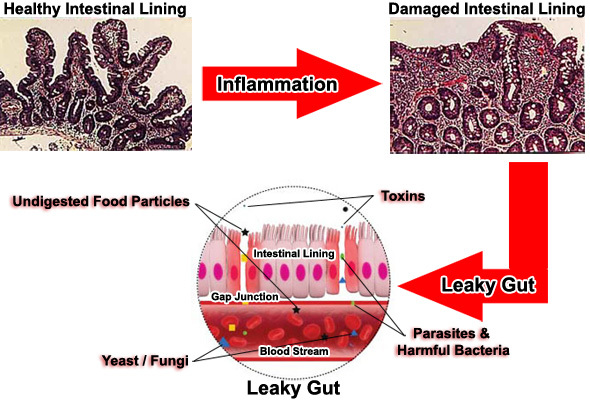 Robb links an article found in Scientific American Magazine on the relationship between gut permeability (leaky gut) and autoimmune disease. The article is based on the research of Alessio Fasano, an Italian researcher in the US who was one of the first to note the connection between gut permeability and the development of autoimmune disease. The full article can be found here – it’s a must read! As Dr. Eades most eloquently states, The China Study is a “master piece of obfuscation”. Correlation does not prove causation. I awoke this morning surprised to find an article on The Paleo Diet in my small hometown Sunday newspaper. 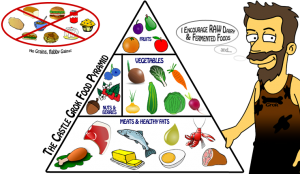 Paleo Diet – Why Grass-Fed? The Paleo Diet recommends that all protein sources should come from “grass-fed” animals. “Grass-Fed” vs. “Grain-Fed”, what’s the big deal? You may be surprised to learn that grain-fed beef can be detrimental to your health. Refined carbs, not dietary fat contribute to overall greater metabolic damage (elevated blood pressure, Obesity, Type II Diabetes, blood fat disorders, etc). An Editorial published the April issue of The American Journal of Clinical Nutrition titled “Are Refined Carbohydrates Worse Than Saturated Fat?”discusses the importance of reducing refined carbs in your diet instead of fat. I met Cheryl at a level 1 CrossFit cert I was coaching several years ago. Then I saw her at another Level 1. Then a CrossFit Nutrition cert...on the other side of the country! Then another! Cheryl has a a seemingly insatiable desire to learn. This curiosity, as powerful as it is takes a back seat to perhaps one thing however and that is Cheryl's desire and capacity to HELP. I think one of the most profound things any of us can do is leave a legacy of helping. I was very excited to hear about her forthcoming blog and will be reading it every day. Cheryl, I hope this message finds you well. I think we all at one point had an aha moment about why we do the things we love to do. When I first came upon CrossFit I knew that my world would be turned upside down. I’ve learned so much and am so grateful for the people like you that make my fitness journey such an exciting one. I honestly do what I do and strive to become better at what I do because of genuine people like yourself. Take pride and be passionate about what you do and how you do it. Get comfortable with uncomfortable is a theme we’ve chosen here at OPT, because we believe that getting into this uncomfortable zone unfolds many life lessons. Here’s hoping you teach others about this, make it happen, all the best. It says here that Cheryl has a new blog. I say, it's about damn time. Cheryl has been accumulating knowledge and experience about the serious side of exercise for a while now, and I can't think of a better ambassador for barbell training to women who typically refuse to consider its benefits. One look at Cheryl dispells any apprehensions they may have regarding the aesthetic effects, and she is quite capable of explaining the health and fitness advantages to this group of folks in desparate need of a better way to approach their exercise prescription.